Have you ever seen pictures or videos of balloons flying in all directions and floating in the air? It's something you often see in classic posters or movies. Guess what? Now you can do that without having to buy hundreds of balloons, all you need is ARKit! In this tutorial, you will learn how to create a simple augmented reality app for iPads and iPhones ARKit. More specifically, we'll talk about how we can unleash a group of virtual balloons and levitate them in random directions into the sky using Worldtracking and SceneKit physics and animations. We & # 39; I will learn how to animate randomly many 3D objects in the AR world. 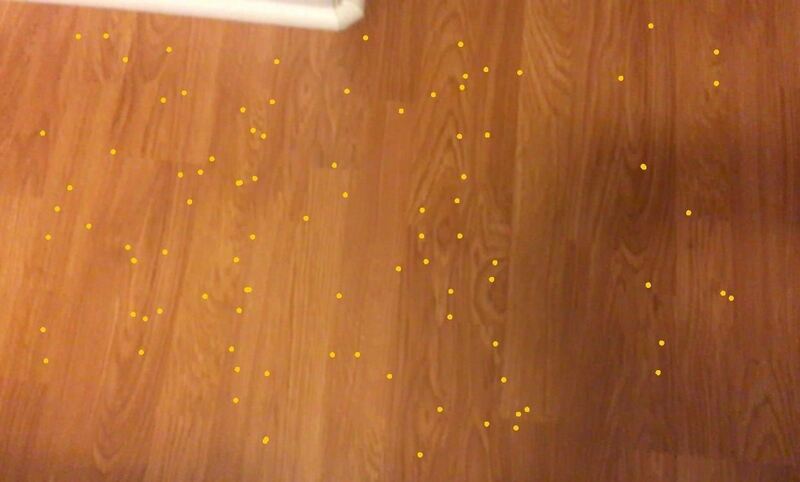 ARKit allows us to create many 3D objects to work on, yet maintain a high refresh rate. We will also get help using the hitTest we have previously discussed. A device running iOS 11+ on an A9 or later processor. Basically the iPhone 6S and above, the iPad Pro (9.7 inches, 10.5 inches or 12.9 inches, first generation and second generation) and the iPad 2017 or later. Swift 4.0. Although Swift 3.2 works on Xcode 9.4, I strongly recommend that you download the latest Xcode to stay up to date. To help you understand this tutorial I've created a folder with the required 3D asset that is needed for the project. With these files, you can easily follow this guide, so download the zipped folder with the assets and unzip. If you're not sure how to do so Step 2 in our article on controlling a 3D layer using hitTest to get your AR project in Xcode set up. Give your project a different name. B. NextReality_Tutorial6 . Be sure to do a quick test before continuing with the following tutorial. In your Xcode project, go to the Project Navigator in the left sidebar. Right-click on the art.scnassets folder, where you save your 3D SceneKit files and then select Add Files to Art.scnassets. Add the following file from the unzipped "Assets" folder you downloaded in step 1 above: "red_balloon.dae". Click again in the project navigator with the right mouse button on the yellow folder for "NextReality_Tutorial6" (or whatever yours Named project). Select the option "Add files to & # 39; NextReality_Tutorial6 & # 39; s". 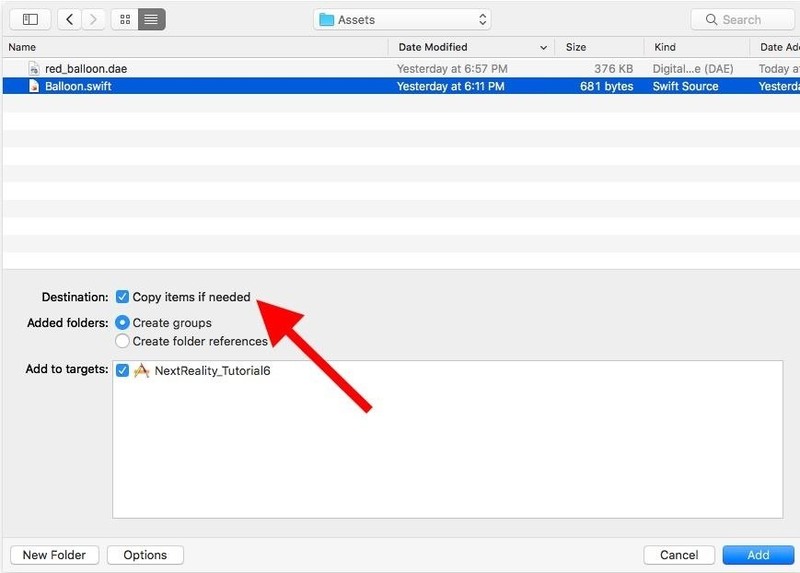 Navigate to the unzipped folder "Assets" and select the file "Balloon.swift". Be sure to check "Copy items as needed" and leave everything else unchanged. Then click on "Add". This file will take care of the rendering of the red balloon. Open the ViewController.swift class by double-clicking it. The rest of this tutorial focuses on editing this document. If you want to follow the final Step 4 code, just open this link to view it on GitHub. let scene = SCNScene (called: "art.scnassets / ship.scn")! Next, at the end of the viewDidLoad () method, add a gesture recognizer that adds a touch event to our view controller. Each time you tap it, the method getapped () is called. Here we perform a HitTest based on any feature point that ARKit recognizes in the 3D world. Once we have our hitTest, we call addBalloon () to insert the balloon into the scene. Checkpoint : Your entire project at the end of this step should look like the last step 4 code on my GitHub. Well, all We have to add dynamic forces to our dynamic balloons as soon as they are inserted into the scene. Feel free to follow the last step 5 code along with while entering the content below. This is similar to how we added the dynamic physics effects in the Missile Tutorial. However, we apply the force in a randomized direction for each balloon, ranging from 10 to 60 meters for the x coordinate (horizontal) and 20 to 120 meters for the y coordinate (vertical). We will also randomly choose whether the x-coordinate should be negative or not (so the balloon can move both to the left and to the right). This ensures that all our balloons float in different directions at different horizontal and vertical speeds. Checkpoint : Your entire project at the end of this step should look like the last step 5 code on my GitHub. Well done! You have been successful in placing a group of balloons in the world around you and letting them fly in random directions into the sky. This is really exciting as SceneKit's power allows us to dynamically add powers (ie floating behavior) in every possible direction. 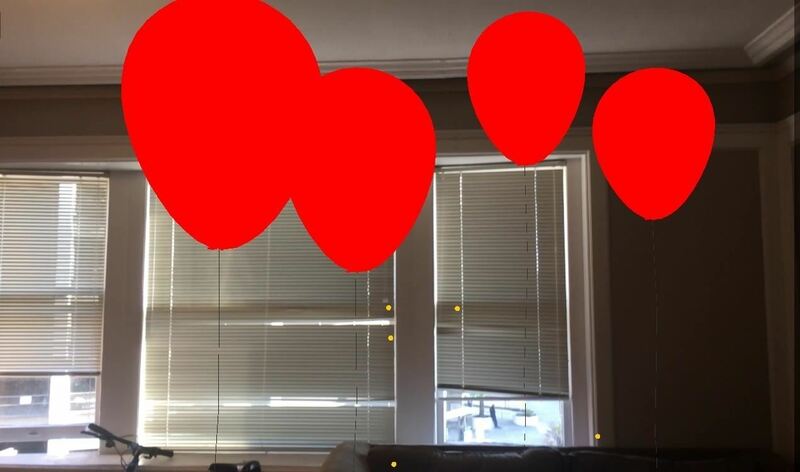 World Tracking through ARKit allows us to continue to see the balloons in the sky as we move away from them. Fascinating, do not you think? If you need the full code for this project, you can find it in my GitHub repository . I hope you liked this ARKit tutorial, and if you have any comments or feedback, feel free to leave it in the comment section. Happy coding!